Fifteen minutes after San Francisco’s Mezzanine opened its doors for the evening last Thursday, I could already tell it was well worth staying out late on a weeknight to hear Chilean reggae stars Gondwana and the legendary Wailers perform. Reggae music fans steadily filled the club over the next half hour. Some congregated around the bar ordering drinks or chatting, while many danced to the mix of reggae, world music, and hip hop spun by San Francisco-based DJ Julicio. In a far corner, a vendor pulled toasted empanadas from a small portable oven for hungry audience members. Beneath the friendly, laidback vibe, excitement stirred as the dance floor filled with more and more people. Gondwana entered Mezzanine around 10 PM, skirting the edge of the dance floor on their way backstage. One fan raced after them, grinning from ear to ear as band members stopped to pose for a photograph and shake hands with him outside the stage door. When Gondwana came out a short while later, the audience went wild and pressed closer to the stage. The band’s performance hung together nicely, with ballads such as “Piensame” and crowd-pleasing numbers like “Irie.” Only the electric guitar-charged “Revolucion”—a surprisingly intense song—stood out a little. Gondwana’s band members clearly love performing together and interacting with their audiences, and their energy spread throughout the crowd at this concert. Their Bay Area fans turned out in full force for the show, but whether people came specifically for Gondwana or for the Wailers didn’t matter. Those who knew the lyrics sang along with Gondwana’s MC Jona, and everyone else enjoyed dancing. The crowd came to the show, first and foremost, for good reggae. After Gondwana closed with a rendition of the Wailers’ “Could You Be Loved,” DJ Stepwise, a Bay Area-based DJ and producer, came out and played a 30-minute set of classics-heavy roots reggae and dancehall. Mezzanine was fully packed by the time he wound down, but there was still enough space to dance and the good-natured energy of the audience kept flowing. The Wailers stepped out onto the stage to an explosion of cheers and whistles. After warming up with an all-instrumental set and performing numbers from their mid- to late-1970s repertoire such as “Roots Rock Reggae” and “Natural Mystic,” the band moved into the “standards” known and beloved by all, including “I Shot the Sherriff” and “Stir it Up.” The evening’s crowning moment was, of course, the entire club singing “One Love” together. Even with a new lineup of younger members, including lead singer Koolant, it felt throughout the show as if Bob Marley was there with the band too. 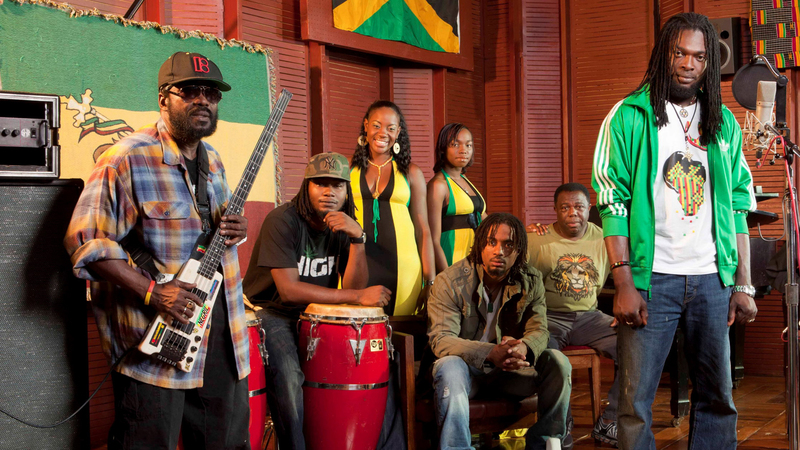 Bassist Aston “Family Man” Barrett, who originally performed with Marley, still plays with the group with undiminished energy and a steady hand, and the music hasn’t lost any of its original spirit. There’s something to be said for a band that continues to draw large enthusiastic audiences after four decades—that’s the hallmark of good music. And whether we realize it or not, we all have Wailers lyrics stored away somewhere in the depths of our subconscious, and to have a chance to sing along at an actual Wailers concert is an experience not soon to be forgotten. 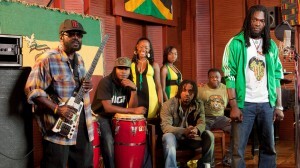 The June 7 Gondwana-Wailers concert was presented by Earshot Entertainment. This entry was posted in Review and tagged Chile, Concert, Jamaica, Reggae, San Francisco. Bookmark the permalink.